Nose: Very floral. Sweet flower petals. Vanilla custard. The sweetness is balanced nicely by a bit of leather and pipe tobacco.This dram literally blossomed into a flower with some air time. Although, the longer this sits here (been over an hour in the glass now) the more dominant the tobacco becomes. What started sweet and floral has turned into earth and tabacco. Both elements are still present, but the balance of power has shifted. Palate: First impression is that you cannot tell this is a 100 proof bourbon. Oh, so smooth. Silky, creamy texture. Still very floral, it's like rose petals fell into some vanilla custard. It even reminds me of Yamazaki Japanese single malt whisky and its floral aspects. But spice comes to play and things evolve a bit into some earthy spices. Banana pepper, chili pepper. Really interesting progression. Not spicy like the OGD 114 I've been sipping on the past few nights, but enough to nicely balance against the sweetness of the flowers and vanilla. Good stuff. Finish: Much sweeter than the nose and palate. Creamy vanilla ice cream dominates the finish. A bit of the floral characteristics still remain the but vanilla definately wins. And did I mention smooth? Easy drinker here. Overall: Vanilla and flower petals are the constant here. The nose, palate, and finish all have vanilla and flowers. The nose also gets some earthy tobacco and the palate gets some spice to balance things out before culminating with a big scoop of vanilla ice cream. As far a single barrel bourbon goes, this seems on the lighter, more delicate side. They have two more bottles of this particular barrel at this store and I may go get them. 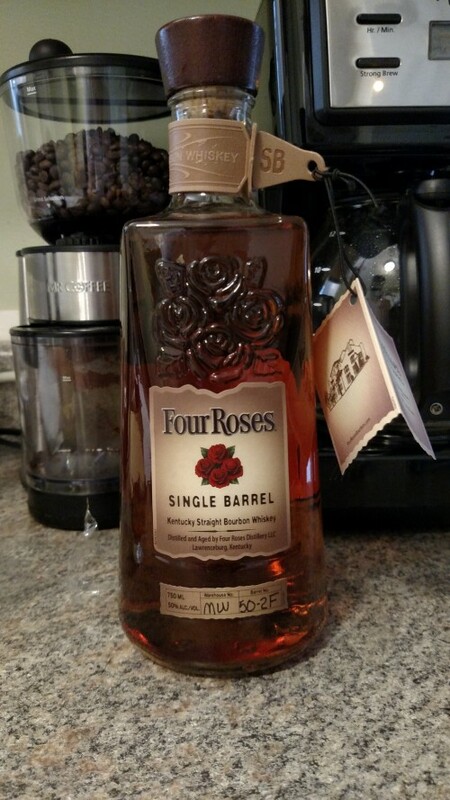 I had a bottle of standard four roses recently and didnt even review it because it was "meh." But this is some good stuff. Not sure if I lucked out with a good barrel or it's always this good but definately want some more of this stuff. I didn't review my FRSB quite this high (I think I scored it 86-87) but it was a different barrel/warehouse. I really liked it though. 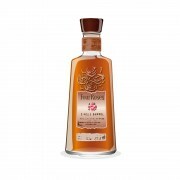 I've never had the "standard" Four Roses, but I agree: this one is impressive and not at all "hot" for a 50% ABV whisky. I've tasted a lot of Four Roses over the last 8 years. It took me a few years to have the Four Roses house style grow on me, but I like it a lot now, once in a while. Other than Bulleit Bourbon, I've purchased precisely one bottle of Four Roses, which was a 2009 Mariage release. When I get a Jones for Four Roses I drink it at my sister's house. She has a ton of the premium stuff, LEs, Binny's private barrels, etc. The OB Four Roses Small Batch is a very nice step up from the Yellow Label 'standard' Ten Bourbon blend. It is mellow, though, don't expect something like ECBP intensity. Small Batch is great when you are ready for something pretty and very well-behaved. I think we've all tried different barrels so our scores are hard to compare. When I've revisited it I've liked it more. BTW, does t go well with fresh brewed, fresh ground coffee? @Nozinan I enjoy having coffee before all my whisky. I wouldn't say this any more or less than others. Now that this bottle has been open for a few weeks, I notice that the tobacco and earthy notes become more dominant and the vanilla floral sweetness is more subdued. Air did to the bottle what it did to the individual glass. It's more balanced now but I do kind of miss that huge vanilla note. Now it's a normal vanilla.